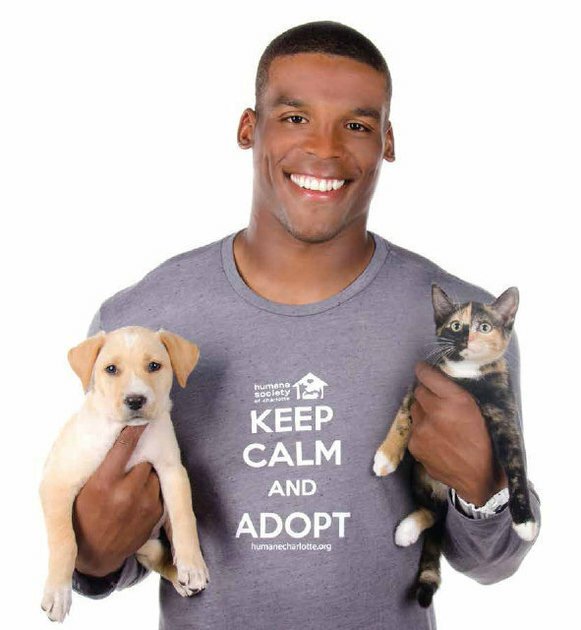 On the cover of The Humane Society of Charlotte’s new charity calendar featuring a bunch of Carolina Panther players? The Blessed Individual, cradling the luckiest puppy and calico kitten in the world in his arms, obviously. The Humane Society hopes the “Puppies, Panthers & Kittens … Oh My!” calendar will raise $50,000, which they say will help 3,000 animals in a single year. Related: ‘This is my commitment to a premier education’: Cam Newton stars in Auburn’s new NCAA commercial.